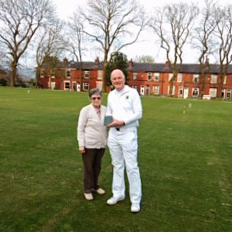 Dave Walters, being presented with the Federation LPG Millennium trophy by Organiser Jean Hargreaves. 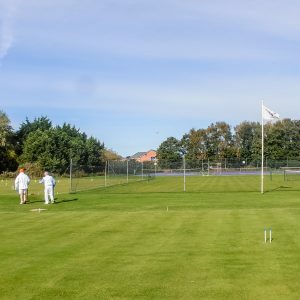 In lovely weather 14 players from 5 clubs played in this event. The handicaps ranged from -3 to 7 and play was in 2 blocks followed by semi-finals, play-off and final. There were several very close matches and some surprise results in the block play, including games seesawing between players. Among the most notable were Richard Leach (hcp 7) beat Colin Irwin (hcp -1) 7-5 and Keith Woodward ( hcp 5) beat Paul Rigge (hcp-2). David Walters (hcp -3) was the only player to win all his block games. 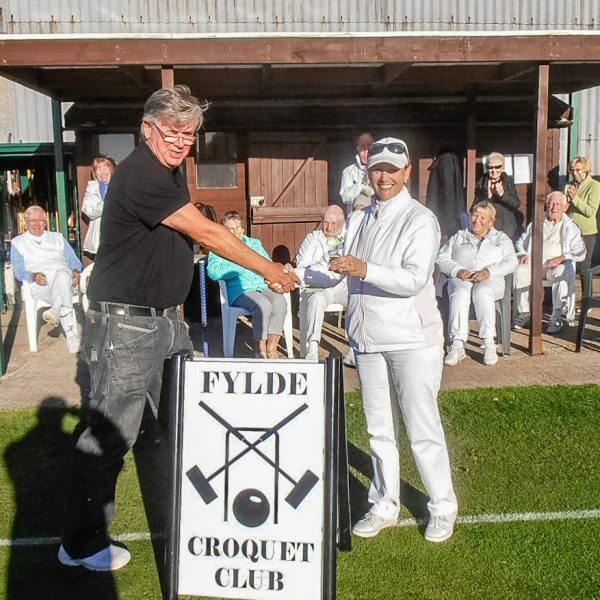 The semi- finals were David Walters against Colin Irwin and Paul Rigge against Libby Dixon. David and Colin fought a close match with David winning on the Golden Hoop. Paul beat Libby 7-0 but not without a fight from her. In the playoffs Colin beat Libby 7-1 but she still played determinedly. The final between David and Paul started with Paul pushing hard but soon was overtaken by David. The match ended at hoop 10 when a shot of Paul’s didn’t go to plan and with David having 2 balls near the hoop and Paul’s far off, Paul conceded the hoop, and the match to David. A very enjoyable day was had by all. 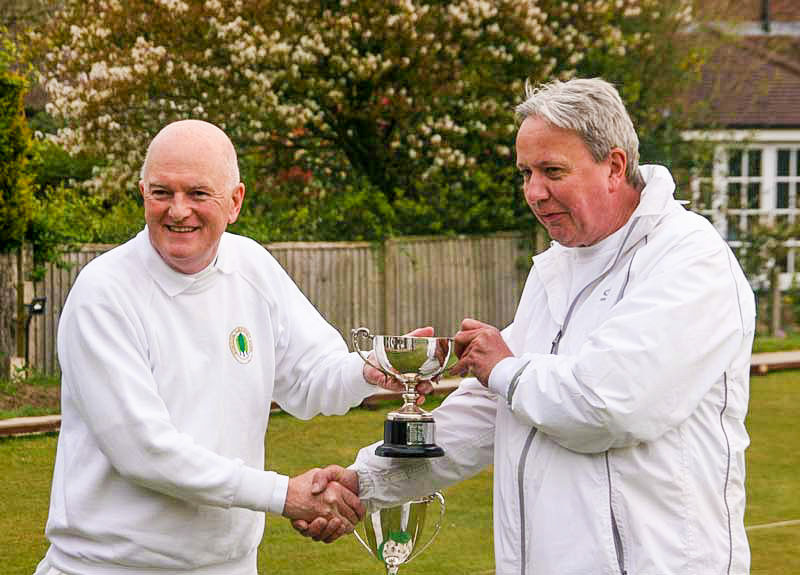 Bowdon hosted the NWF Millennium Advanced Tournament last weekend. Fourteen players entered the tournament representing Bowdon, Bury, Chester, Fylde, Liverpool and Pendle. Andrew Winn (Bowdon) won the A Class event beating Ken Cooper (Bowdon) in what turned out to be the final, whilst Paul Kenworthy (Bury) won the B Class on count back after a 3-way tie. Liz Wilson had handicap reduction from 1 to ½. 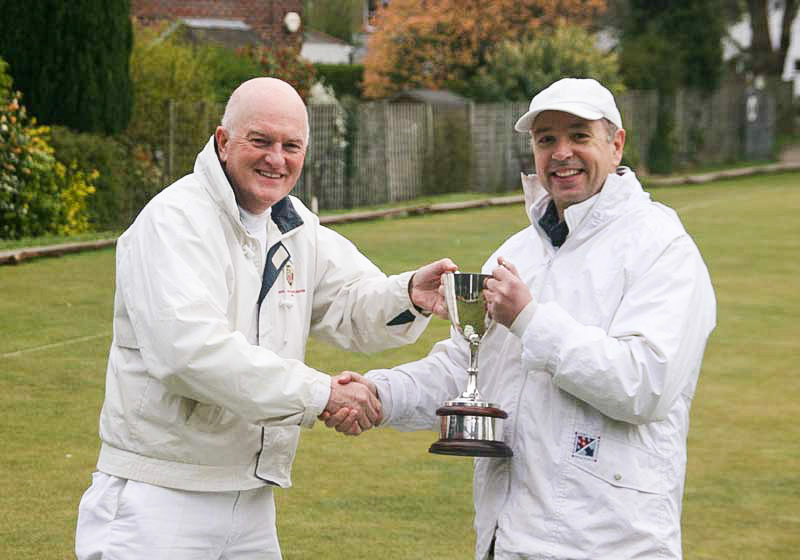 2019 Adv Millenium Class B winner Paul Kenworthy receives trophy from David Walters, Bowdon Secretary.